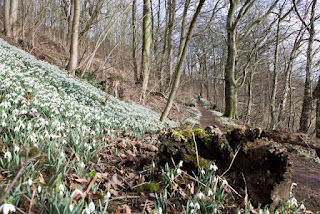 We made our annual visit to Hawthorn Dene to see the snowdrops yesterday. 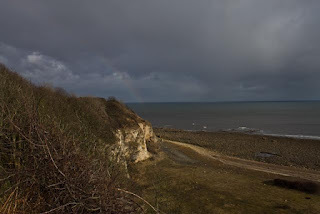 It was a beautiful sunny day, with a rainbow over the beach but true to February it became overcast and rained before we got back to the car! 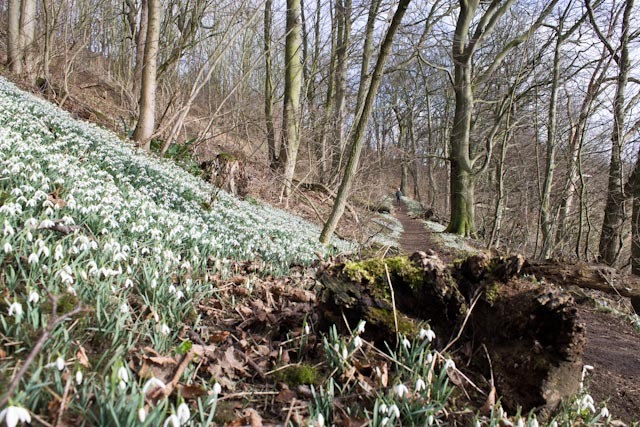 The snowdrops were beautiful. The Horse Chestnut buds were swelling and becoming sticky. 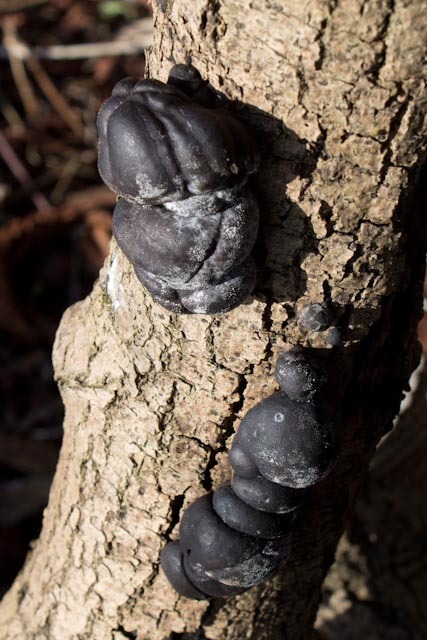 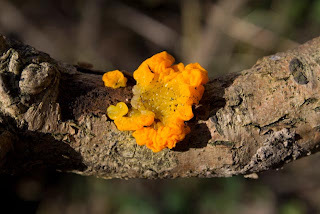 We found some impressive fungi (Cramp Balls - Daldinia concentrica and Yellow Brain Fungus - Tremella mesenterica) and saw Sparrowhawk, Tree Creeper, and Great Spotted Woodpecker. 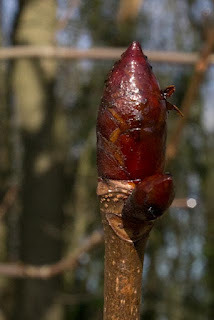 We also heard a Green Woodpecker calling.